I love stories about the circus — and magicians, performers, and theatres — , particularly in this era. There is something about the great gulf between the reality of the grueling life and the sparkling image that was maintained for the crowds. Unforgiving schedules, primitive travel, punishing physical feats were all typical of even the more respected circuses. In return, performers received decent pay and decent food — and if they were lucky, the adoration of the crowds that flocked to see them. Leitzel (aka Lillian Lietzel) was born to a 12-year-old mother near Breslau. 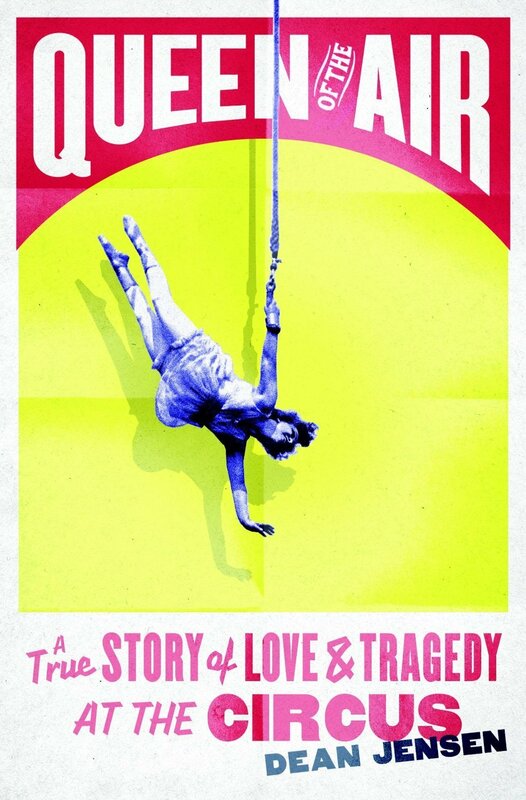 Her mother, Nellie, was herself a talented “flyer” — a trapeze and rings artist. Nellie’s family was desperately poor and was unable to care for all of the children. Nellie was sent off with Willy Dosta’s traveling circus. It was on the road that she was assaulted numerous times by her supposed guardian, and how she became such a young (and ill-equipped) mother. Leitzel grew up with her grandparents’ farm and quickly showed a talent for flying. Nellie, now a rising star, decided to add her protege to the act. It proved to be both a smash success and the beginning of the end. Leitzel out-shined them all, and showed Nellie just well Leitzel could do without her mother. Leitzel in her tent. Note she has her right arm and wrist covered. She had severe flesh damage from repeating her signature act for decades. 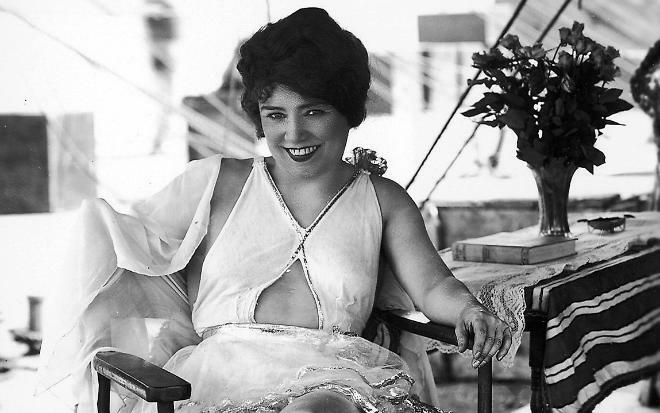 Leitzel both relished her own success and her ability to embarrass the mother who all but abandoned her. Nellie eventually retired but Leitzel took the world by storm. 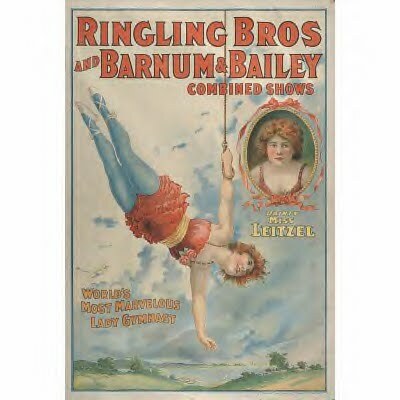 She would eventually be Ringling Bros and Barnum & Bailey’s top act, at the height of the circus’ success. … the house lights were extinguished for the longest time, and the people in the seats became absolutely hushed, as though they were anticipating some holy event like an apparition from the Lady of Fatima. Then a single searchlight started playing everywhere in the house until it located Leitzel at the performers’ entryway. The tiny figure appeared to be emitting a heavenly light. Yet as steady as she was flying through the air, sixty feet above the ground, her footing was less sure on the sawdust-covered ground. She was a demanding star, insisting upon special quarters and a small fortune in pay. She was lousy at relationships (married three times before she was forty), with numerous suitors along the way. But she was also notoriously generous with fellow buskers. She used her private tent to hold classes for the children of the circus troupe and was always ready with money for a struggling worker. This biography is a fascinating portrait of a supremely interesting personality. Jensen recounts her childhood, amateur days, her rise to fame as well as her shortcomings. He pulls, of course, from ads and notices of the day, but he also has quotes from family members and friends. In this book, Leitzel becomes a person, and more than just a personality. I highly recommend this absorbing biography. It is well-written and well-researched, and I know I will never think about the era the same way again. Thanks to Lauren at Crown for the review copy. Great review! This book sounds really good and I’ve been seeing a lot about it. It makes a huge difference when a bio is absorbing, well-written AND well-researched.